Olives are fruits that are part of the drupes group – fruits that come with a stone or pit. Some other drupes include mangos, peaches, almonds, nectarines, cherries and pistachios. It is good to know that there are dozens of types of olives and they all grow on olive trees that originate from the Mediterranean. These trees are amazing and one of the things that make them unique is their longevity – they can live for hundreds of years. According to some sources, there is an olive tree that is more than 2 millennia old. When it comes to the US market, there are five distinctive varieties of olives that represent more than 90% of this market – Sevillano, Manzanillo, Barouni, Ascolano and Mission. Most of them are grown in California. There are many people who like Kalamata olives, a product of the Kalamon olive trees which naturally grow in Greece. Keep in mind that the olives that are labeled as Kalamata type of Kalamata style are not real Kalamata olives. It is not unusual that there are olive experts today because every type of olive comes with specific characteristics. As a matter of fact, there are special olive bars in specialty stores where people can taste different kinds of olives. In case you are fond of olives and you like to eat them from time to time, then you will love this part of the article. Olives are not only tasty snack, but they can also bring many health benefits. There are a huge number of people who stay away from olives because they are packed with fat, but this is exactly why we should eat them. Of course, there are few other good reasons why you should include olives in your diet. The vast majority of the fat found in olives consists of oleic acid. This is a monounsaturated fat that has the ability to lower the chances of developing heart disease. It is good to know that macadamia nuts are also packed with high healthy fat content (up to 60%). According to the experts who work at George Mateljan Foundation, in case diets that were low in monounsaturated fats are changed and the intake of this specific type of fat is increased without making total fat intake too high, people usually witness a reduction in LDL cholesterol and blood cholesterol levels and LDL:HDL ratio. These modifications in our diet can significantly lower the risk of heart disease. A scientific study conducted not while ago suggests that olives come with monounsaturated fat that has the ability to stabilize blood pressure. The aforementioned oleic acid can alter the signaling system that takes place on a cell membrane level. This happens when the oleic acid is absorbed in the body and directed to the cells. The final result of this change is lowered blood pressure. On the other hand, a research revealed in the popular BMC Medicine journal confirmed that olive oil intake, especially when it comes to extra virgin oil, is linked to lower risks of cardiovascular disease and fatalities in people who belong to the risky category. Olives are packed with antioxidants and this fact was confirmed by a research revealed in the European Journal of Cancer Prevention. Some of these antioxidants include polyphenols like oleuropein glucoside, phenols like tyrosol and hydroxytyrosol and other antioxidants. Studies have confirmed that the antioxidant effects provided by olive oils are much more efficient than the ones provided by vitamin E.
In addition, olives also come with some specific antioxidants that can’t be found in other foods like oleuropein for example. This antioxidant limits the oxidation of LDL cholesterol in the body and reduces the effects of oxidative stress. This specific antioxidant also limits the activity of iNOS – inducible nitric oxide synthase. iNOS has been linked to inflammation. Finally, oleocanthal, a powerful phenolic compound that is present in virgin olive oil provides similar anti-inflammatory effects like the popular commercial medicine ibuprofen. The confirmed anti-inflammatory and antioxidant effects produced by olives and the anti-cancer compounds found in it make these fruits very helpful for those who want to prevent cancer. For example, there are certain compounds in olives that can trigger the gene focused on suppressing tumors and the so-called apoptotic gene which triggers predefined cell death. A study revealed in the respected International Journal of Clinical and Experimental Medicine has confirmed these claims. There are numerous scientific studies that have confirmed that the frequency of cancer and cardiovascular disease is very low in the Mediterranean and one of the main reasons is the specific diet which includes olives and olive oil. 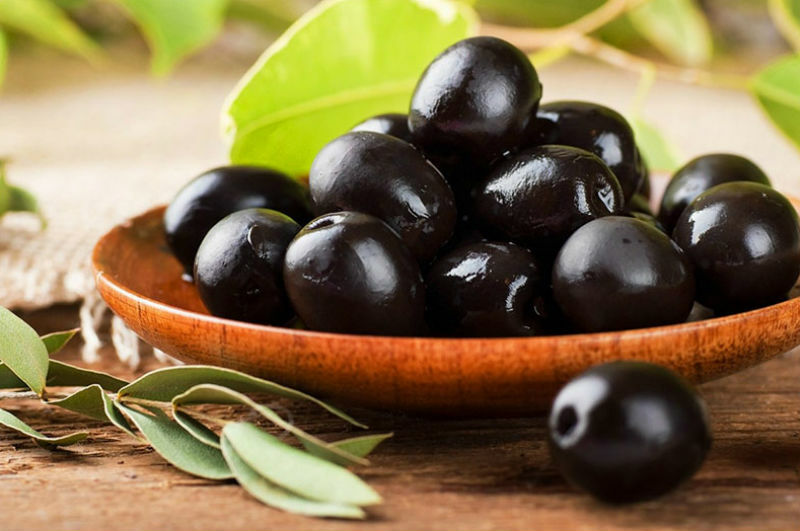 Squalene, compound found in olives, has strong anticancer effect and oleic acid can boost cancer prevention. In addition, olive oil plays an important role in prevention of the growth of carcinoma and it is believed that this oil also has properties that prevent chemo effects. Finally, oleuropein has strong anti-angiogenic and antioxidant properties and it acts as a powerful anti-tumor compound. The high amount of antioxidants found in olives definitely guarantees anti-aging advantages. A phenol called tyrosol found in virgin olive oil can improve lifespan and stress resistance in roundworms. In studies conducted in controlled environment, cultures treated with oleuropein managed to live significantly longer. Squalene, hydroxytyrosol and oleuropein found in olives can also help us preserve our skin from the negative effects of UV light. It seems that oleuropein is especially efficient because it provides antioxidant activities directly in the skin. A scientific research revealed in Rejuvenation Research journal claims that the benefits of the Mediterranean diet won’t be possible without the nutraceutical effects of extra virgin olive oil. The most important nutraceutical substances and compounds in this oil include different phenolic compounds and monounsaturated fatty acids. It is believed that these compounds and substances can slow down the aging process. Taking olives and olive oil on a regular basis can probably protect us from loss of bone mass because this finding was confirmed in animal lab studies in animals with osteoporosis caused by aging. These positive effects probably come as a result of oleuropein’s activity. Another study which included about 130 elderly men, has confirmed that there is a link between practicing Mediterranean diet which includes extra virgin oil and boosted levels of osteocalcin serum and procollagen I N-terminal propeptide. In other words, it was confirmed that olives can protect our bones. In addition, phenolic compounds found in olive oil can support the proliferation of osteoblastic cells in humans. The so-called osteoblasts are cells that form our bones which means that the study has confirmed that olives come with substances that promote bone health. Excellent source of fiber, copper, vitamin E and iron. What Makes Green and Black Olives Different? 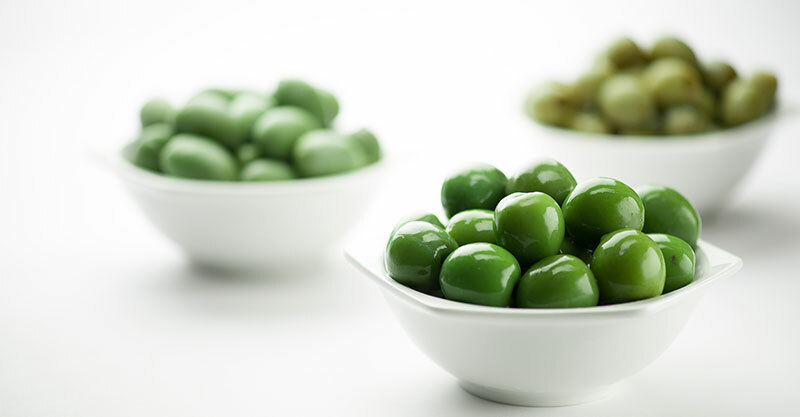 As you are probably aware, olives come in different colors including black, dark purple, yellow green and bright green. The color of olives is usually a matter of personal preferences. It usually doesn’t show anything about their ripeness or healing properties. There are many olives that start as green but turn black once they are ripe. There are of course, olives that are black or green all the time. Olives are naturally bitter, so producers usually start brine-curing, water-curing or lye-curing procedure when they pick them in order to make them tastier. There are some varieties of olives that can be dry-cured which means being rubbed and treated with rough salt which makes them look wrinkled. The vast majority of olives are lye-cured because this procedure is relatively fast. This is especially true for black olives that come in cans. They are picked while they are still unripe and green and lye-cured after that. In the end the producers use oxygen treatment to make them black. In case you want to taste olives cured with the help of water or salt, which is a process that lasts for several months, you should look for private producers or use an olive bar. If you are buying them from an olive bar, look for ones with high turnover rate and stay away from mushy-consistency olives. So, both black and green olives are good for our health and they taste good. However, there is one study that suggests that the amount of oleuropein reduces with the ripping of olives which means that it may be better to use green olives. Of course, this doesn’t mean that you should switch black olives in case you really enjoy them. If you perform a brief research, you will see that people can buy olives with high quality easily. They should opt for olives sold in a jar not the ones in a can. However, the situation is much different when it comes to olive oil. Unfortunately, many manufacturers use the olive oil hype to sell low-quality oil. This oil is modified and changed so that the manufacturers can make more profit. What is even more shocking is that some olive oil products labeled as extra virgin are diluted and mixed with some cheap oils like soybean, hazelnut, sunflower, corn, walnut, grape seed, sesame and palm oil. However, the manufacturers don’t include these oils on the label, so the average customer is not aware that they are not using pure olive oil. In case you live in a place where olive oil is produced, you should definitely buy oil from local producers. On the other hand, if you are far away from such locations, look for a specialized olive oil store where the employees can tell you more about who grew the olives. Finally, you can also rely on well-established brand names that can be found in regular stores. If you have the chance, try the oil before you purchase it. Of course, this doesn’t mean that you will know for sure that the oil has premium quality and this is especially true in case you are not very experienced, but it will help you choose the oil that tastes fresh. If you can’t try the oil and you notice that the oil tastes bad when you open it at home, then you should return it. Keep in mind that when you are looking for oil for cooking, coconut oil (not olive oil) is the perfect options because this oil has the necessary stability to withstand high heat. On the other hand, olive oil is ideal for cold dishes, but not for cooking because it can’t stand heat. Anatomy of Dementia: How is The Life of a Demented Patient?